These nine homely and charming cottages are set In open countryside overlooking fields where sheep graze and are within a easy walk to the centre of Pickering with the North York Moors on their doorstep. Six are single storey and all have traditional pan tile roofs, stone fireplaces and beamed ceilings. They are spacious and tastefully furnished with the emphasis on comfort and relaxation. The kitchens are fully equipped with everything to make life easy. 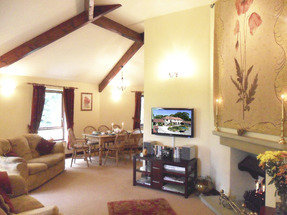 The cottages each have their own charm and will comfortably sleep from 2 up to 8 people. Three cottages have four-poster beds and there are large gardens with a Garden house, play area and private parking..
Nestling between Yorkshires scenic heritage coast of Filey, Scarborough, Whitby, and the Historic City of York, Pickering has good local pubs serving real ale and tasty regional dishes. It boasts a superb indoor swimming pool along with its famous medieval castle and North York Moors Steam railway. During your stay relax on spectacular rolling hills with heather clad moorland, woodland and forest or visit some of the finest stately homes, castles, museums, theme parks, zoo, working farms and breweries or be energetic, go horse riding, quad biking, play golf or fish. 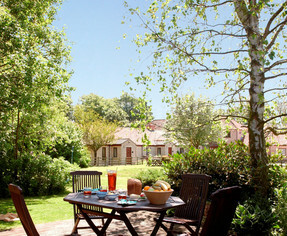 Please see our special offers and late availability page. See our website VIRTUAL TOUR.